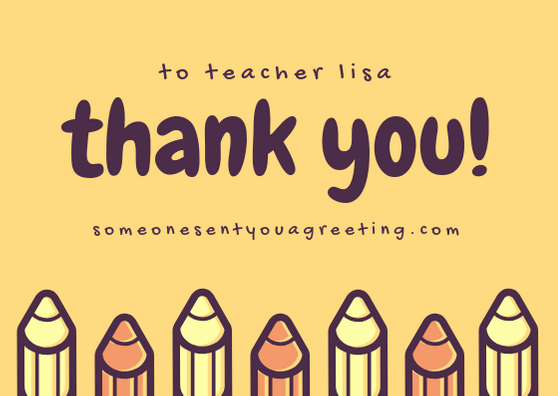 Maybe you just want a quick thank you message for your teacher to go on a small note or card. These short thank you messages are perfect if that’s the case. Thanks for being such a great teacher! We couldn’t have wished for a better teacher. You’re awesome, thanks! 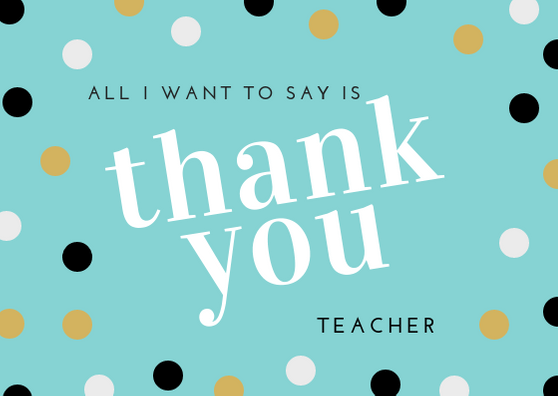 You may want to thank a favourite teacher of yours or one who has really been there to help when you’ve needed them the most. They will appreciate knowing they’ve had a positive effect on their students and played a part in helping them reach their full potential. And these thank you card messages should put your feelings into words. Was the stress, long hours and dealing with annoying teenagers worth it? I hope so because you’re an amazing teacher and I can’t thank you enough! These words won’t fully express how I feel but hopefully they will get close to showing you how grateful I am you were my teacher. Thank you! You always went above and beyond to make sure we could reach our full potential. 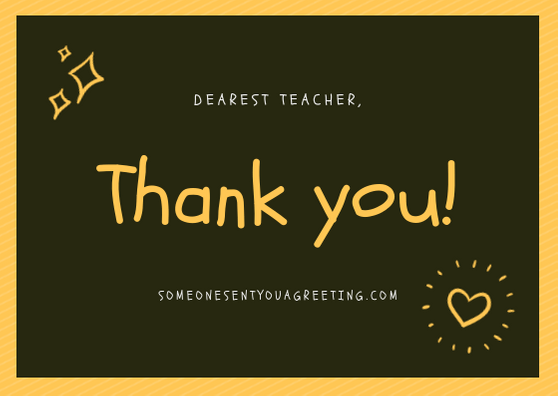 From your favorite students – thank you! Preschool can be tough for young children. It’s their first experience of a school-like environment. That can be really daunting. So having a kind and helpful preschool teacher can make all the difference. So if you want to thank a preschool teacher for helping your little one settle in or make friends try one of these thank you messages. Our little girl/boy comes home every day having learnt something new. The excitement and wonder she has is testament to your teaching. Thank you! The amazing steps ______ has made since you’ve been teaching him/her has been remarkable. We’re so grateful – thank you! The difference you have made in my child’s life has been dramatic and I’m thankful every day. I won’t forget everything you’ve done. Thank you! A university or college lecturer may not necessarily be seen as a teacher. But they do the same job. And you may want to thank them for helping you get through your degree or when you were struggling with college life. Use these examples of notes of appreciation to let them know you’re grateful for their work. Your lectures are not to be missed, you always have time when we have problems and you help inspire us to learn. You’re really a special teacher. Thank you!